Armen Living offers this beautiful Butterfly side chair as an addition to your contemporary living room or kitchen area. This dining chair will make mealtimes a pleasure, with a comfortably upholstered seat and a curved back. The chair�s arms are extensions of its back, creating a stylish and unique piece of furniture. 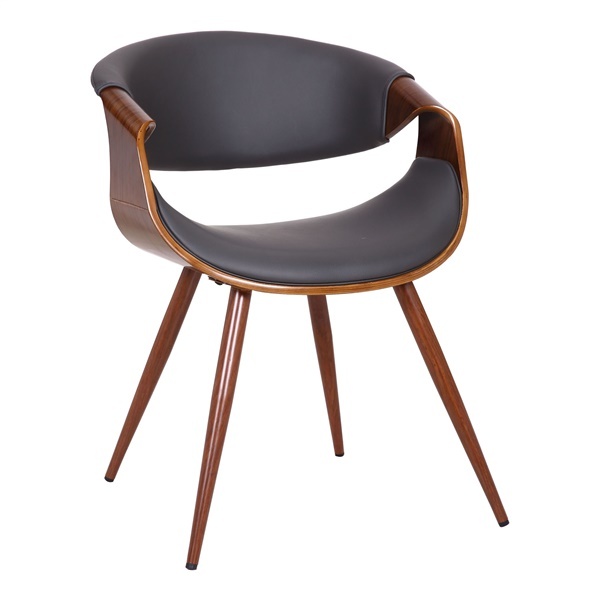 To make sure that this chair is sturdy and beautiful, it�s fitted with metal legs finished in walnut. The result is a sophisticated chair that is sure to enhance your d�cor.